Some days are not the best days! Today was one of those days!!! 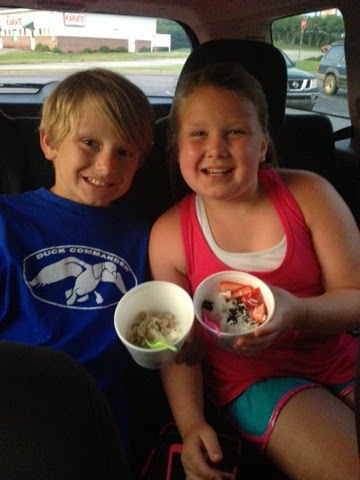 But at the end of the day I am thankful for these two who are truly worth all the bumps and bends in the road! I know God's got a plan even when He doesn't show up the way I thought He would; He is still in control! Learning to be patient and wait on His timing is not always easy for me but I am certainly working on that this summer! 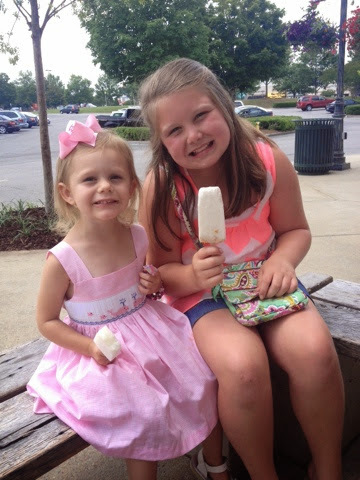 Today brylee and I went to eat lunch and have steel city pops with the Haley girls!!! It was a lunch full busy, crazy girls! 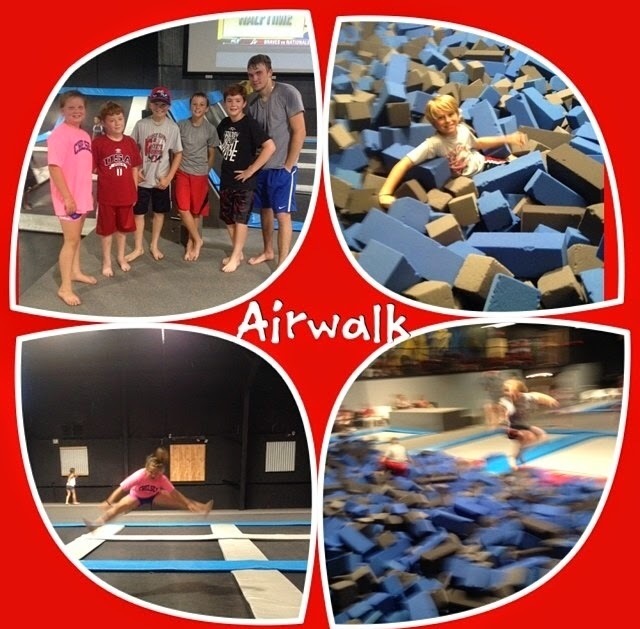 Today we went to Airwalk and the kids jumped & flipped their little hearts out with their buddies! Poor Brylee... It's always her and all the boys!!! Oh well she is a good sport! 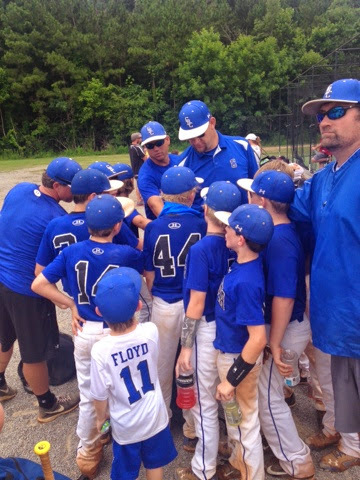 Today was our last baseball tournament of the year! 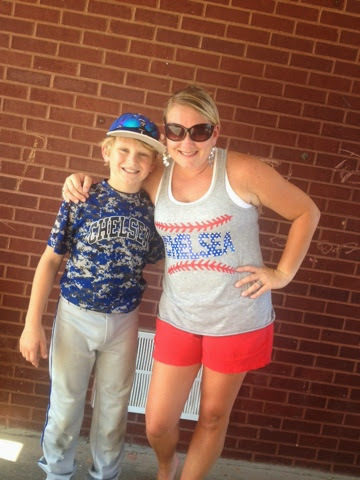 Proud of my little baseball buddy... Love watching him play but we will welcome the no practice and no tournament break!!! 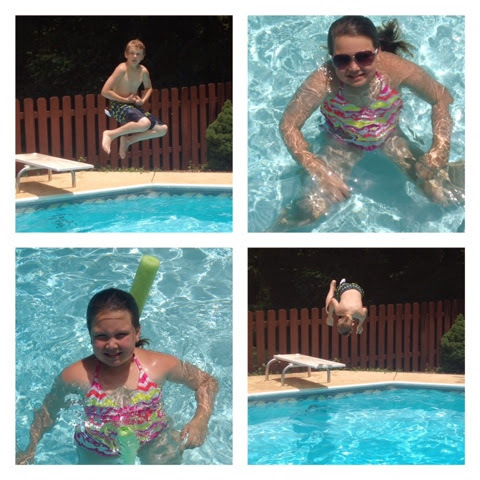 It's officially summer!!! Today was their last game of the season! We have enjoyed our little baseball family and enjoyed our time at the park watching our boys play but it is getting HOT so it's time to be done! Go Chelsea Blue!!! 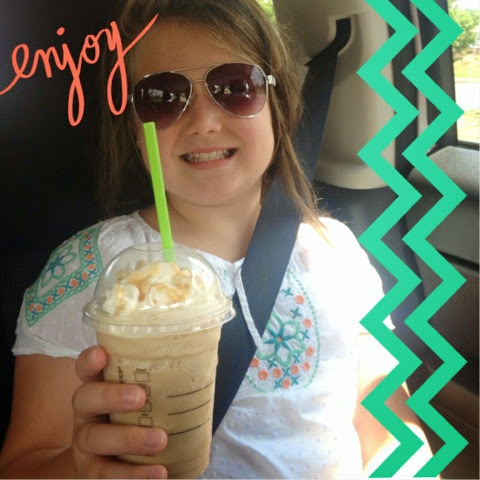 Miss Hollywood decided she needed her a Starbucks frap today! This little one is a mess... She acts like she is 9 going on 19! She also thinks she is something else in her aviator sunglasses too! Jackson told her today "Hey Taylor Not So Swift chill out" as she was checking her self out in the mirror prepping for her selfie. Ha! ;) we laughed so hard! They're a mess!! It was pizza and swim day after VBS... Anything to keep them from being "bored and hungry" because I hear those words approximately 4,783 a day!!!! And clearly if you keep up with me on Instagram we are far from boring and hungry! I feel like all we do is go go go and spend money on food food food! Oh to be a kid again!! !